In a time of explosive craft cocktail programs across the DC region and along the 14th street corridor, it's refreshing to visit a pioneer of the neighborhood, the Gibson. On a recent fall evening, I knocked on their black unsigned door just past 14th & U Street for an evening of cocktails. What I found in DC's uber-speakeasy was an incredible team of bartenders that was blowing the lid off the concept of seasonal menu changes with 20 new drinks inspired by autumn. Our favorite of the evening was the Butterbeer that was both cozy and intoxicating - exactly what we look for during the holiday season. Here's the recipe, thank you Gibson! 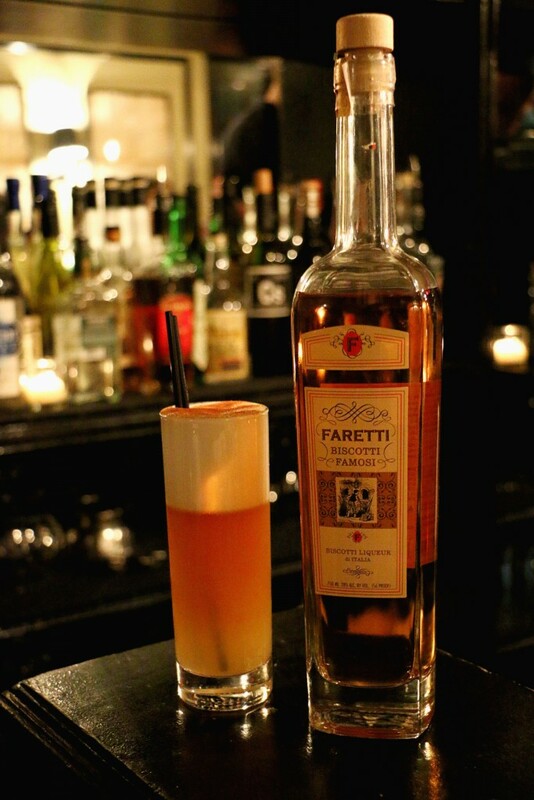 Dry shake Famous Grouse scotch whiskey, biscotti liqueur, lemon juice and vanilla syrup with egg white. Add ice, shake, strain, top with amber lager -- top with nutmeg for garnish. The Gibson is located at 2009 14th St. NW Washington, DC 20009. For a list of some of the some of the available The Gibson Fall Menu Preview.